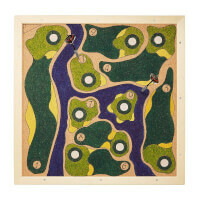 This swing and putt game is a golf-themed version of Tiki Toss. Creator Kyle McGetrick originally made a Tiki Toss smartphone game, and fans loved it so much they asked him to create the real thing. This is a simple, addictive game for parties, barbecues, and other gatheringsâ€”indoor or out. Swing the golf ball with the object of landing it on the tee. Follow the preset scoring rules or make up your own. From classic to humorous, we'll professionally imprint Any Photo you choose! 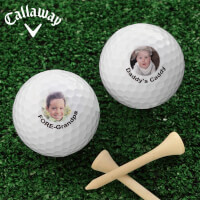 "Par"-fect for milestone birthdays, bachelor parties, wedding favors, new baby, Father's or Mother's Day, retirement and more ... take a special celebration and make it a memorable event with our Photo Perfect Personalized Golf Ball Set! 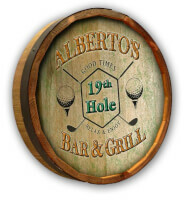 Get your favorite golfer in the swing of things with this bottle opener, made from a trio of PGA TOUR-licensed golf balls that were plucked from the famed 17th Island Green water at TPC Sawgrass in Ponte Vedra, Florida. Officially licensed by the PGA TOUR. Made in the USA. 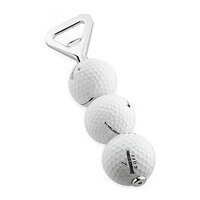 Please note we pull a variety of balls from the water, so manufacturer and ball number may vary from what is pictured. 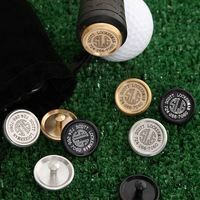 Our Monogram Personalized Golf Club Markers will help you from misplacing or losing your favorite clubs! Are your reports stuck in a sand trap? 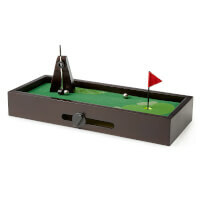 This miniature golf course will help you get your confidence back on the green as you putt away all those lingering anxieties. 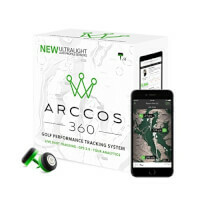 Features a patent-pending variable putting surface that allows you to change the pitch of green and putt a different hole every time! 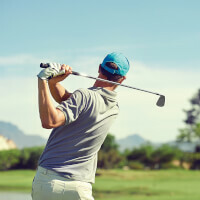 Practice alone or hit a hole-in-one with co-workers by forming a non-exclusive golf club. No caddies necessary - only the magnetic flag pole to remove the ball from the cup. Made in China. Golf and BBQ: separated at birth? Both involve the outdoors, great friends, and knowing in the clearest of terms that you wouldn't want to be doing anything else. 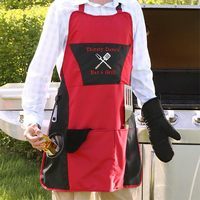 These weekend favorites are combined in this three-piece stainless steel BBQ set with soft insulated handles that look just like golf grips. 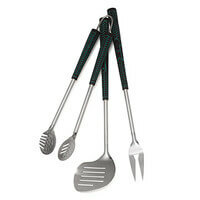 The tongs, spatula, and fork are perfect for the guy who loves the links, sausage or otherwise. Made in China. 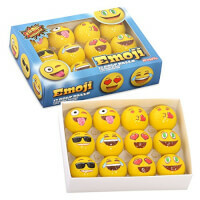 Sold as a set of three. 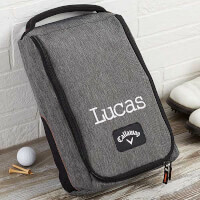 Protect their shoes and other golf accessories while off the course in our Callaway Personalized Golf Shoe Bag. This latest Callaway design features a zipped closure with the Callaway logo on the front. 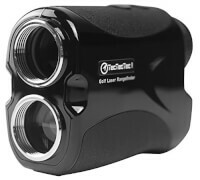 An essential accessory for every golfer, they will be sure to hit the course in style! 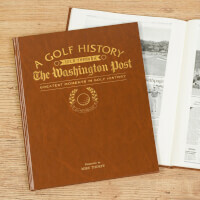 By Eric Epstein This handy scorecard album allows avid golfers to savor their best moments. Fore! Heads up, golf fans, because this ingenious scorecard album is about to change how you remember those brisk mornings and lazy afternoons spent on the links. Forget plaid pants, pom-pom hats, and personalized tees. Those gifts are all well and good, but there's a new present in town and it's changing the landscape of golf gifts for the better. 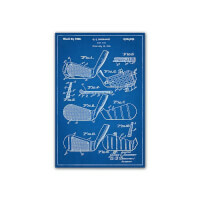 The Golf Scorecard Keeper is part scrapbook part journal. Kidney-shaped practice putting green. 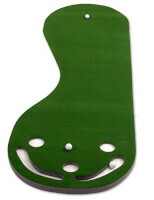 High-quality putting surface stays smooth. Built-in sand trap cutouts catch missed shots. 3 practice cup cutouts. Measures 3 by 9 feet. 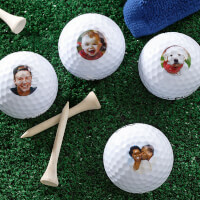 "Par"-fect for Father's Day, birthdays, bachelor parties, wedding favors, new baby, retirement and more ... take a special celebration and make it a memorable event with our Picture Perfect Personalized Photo Golf Ball Set! 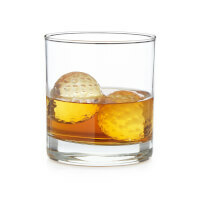 Tee up your favorite beverage in these tumblers for golf lovers. Each 16 oz. 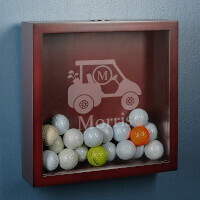 glass features the dimpled impression of a golf ball in the sham, while the set shows the four kinds of clubs (wood, iron, wedge, and putter) through expressive typography in classic golf colors. 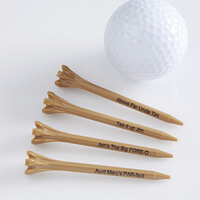 The set makes a hole-in-one gift for anyone who enjoys a clubhouse cooler or a cold one while watching the tournament on TV. Glassware made in the USA, decorated in Lawrence, Kansas. 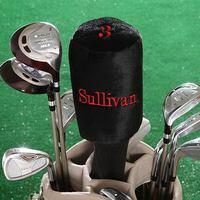 Protect your favorite driver in country club style with our Monogram Personalized Golf Club Cover. 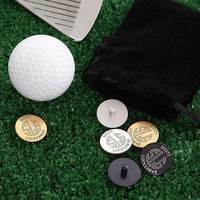 A fun, personalized golf accessory sure to get recognition on the golf course! 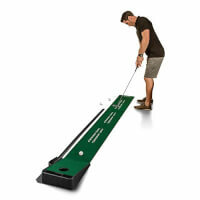 A perfect gift for Father's day, groomsmen, birthdays, holidays or any golf enthusiast on your list! 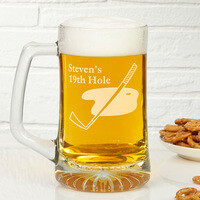 After a round of golf, serve a round of drinks "country club style" with our personalized 19th Hole Over-sized Beer Mug!He'll definitely appreciate this one-of-a-kind gift, making it a "par"fect gift for bachelor parties on the green, birthdays, retirements and much more! 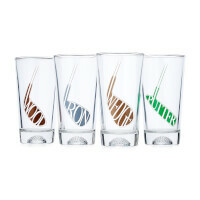 "Dimpled Golf Ball Shot Glass Set Of 4"